Happy New Year! I saw in 2013 up in Scotland, where two dear friends were getting married on New Year’s Eve itself – great cause for a magnificent double celebration. Scotland is a very special place. I feel like I will never get enough of it. Not only is it the home of jawdropping landscape and all my favourite foods – raspberries, smoked salmon, porridge, whisky – but it is also home to many wonderful books. On recent trips to Scotland, I’ve read Lewis Grassic Gibbon’s coming-of-age classic Sunset Song – which, incidentally, also features a wedding on New Year’s Eve – and Gavin Maxwell’s beautiful Ring of Bright Water. This time, knowing I was going to be surrounded by friends and mostly drinking and dancing for the few days, I took a slim book as my companion, most of which was read on the train journey home. 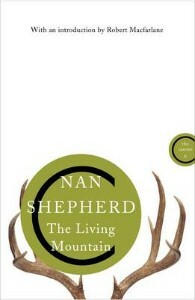 I came across Nan Shepherd’s The Living Mountain in Robert Macfarlane’s The Old Ways. Macfarlane evidently loves this book, as, in addition to writing about it at length, he found one of his epitaphs in it: ‘My eyes were in my feet’. Happily, in this Canongate Canons edition of The Living Mountain, Shepherd’s masterpiece is preceded by a mighty Macfarlane introduction. Something moves between me and it … I cannot tell what this movement is except by recounting it. After rain I run my hand through juniper or birches for the joy of the wet drops trickling over the palm, or walk through long heather to feel its wetness on my naked legs. The more one learns of this intricate interplay of soil, altitude, weather, and the living tissues of plant and insect … the more the mystery deepens. Knowledge does not dispel mystery. Scientists tell me that the alpine flora of the Scottish mountains is Arctic in origin – that these small scattered plants have outlived the Glacial period and are the only vegetable life in our country that is older than the Ice Age. But that doesn’t explain them. It only adds time to the equation and gives it a new dimension … It means that these toughs of the mountain top, with their angelic inflorescence and the devil in their roots have had the cunning and the effrontery to cheat, not only a winter, but an Ice Age. The scientists have the humility to acknowledge that they don’t know how it has been done. It is astonishing to think that these mountain flowers, with their peculiar names, have been alive since before the Ice Age. Even Shepherd admits that her ‘imagination boggles’ at this. Boggling or not, she treats this fact with her idiosyncratic intelligence: ‘Knowledge does not dispel mystery.’ This should be every scientist’s motto! Even from my amateur scientific experience of Biology and Chemistry A-Levels, I could see that the more you learn about the nature of things, the more there is to discover, and the further you feel from getting the bottom of it. Moreover, I found science to be riddled with a sense of a mysterious beauty underlying everything. The double helix of DNA, for instance, is an astonishing, mysterious beautiful thing literally at the heart of our existence. So much work and knowledge went into discovering this structure, yet never dispelled its mystery. A scatter of white flowers in grass, looked at through half-closed eyes blaze out with a sharp clarity as though they had actually risen up out of their background. Such illusions, depending on how the eye is placed and used, drive home the truth that our habitual vision of things is not necessarily right: it is only one of an infinite number, and to glimpse an unfamiliar one, even for a moment, unmakes us, but steadies us again. It’s queer but invigorating. For Hermia, it is as though she is awakening from a dream, and so there is a feeling of being bleary-eyed and half-asleep, but there is also a sense of other-worldliness. ‘Every thing seems double’, as though there is another version in another world, which you can only see with this eerie ‘parted eye’. This is not so far from Shepherd’s ‘half-closed eyes’ seeing illusions that suggest ‘our habitual vision of things … is only one of an infinite number’. Here in the thin air of the mountain, perhaps she is on the edge of another world – if not of fairies, then certainly of magic. The Living Mountain shines and pulses with the magic behind life. If ever there was a book to show you how feeble and limited our ‘habitual vision of things’ is, this is it. Shepherd has an astonishing way of pointing things out and distorting your vision, pulling things around, leaping from peering at the track of a hare to staring over a vertiginous drop. It is indeed an ‘unfamiliar’ vision of things, ‘queer but invigorating’. How I long to go to the Cairngorms and see this landscape for myself – I wonder if it will be anything like as magical as the landscape conjured by Shepherd’s prose. 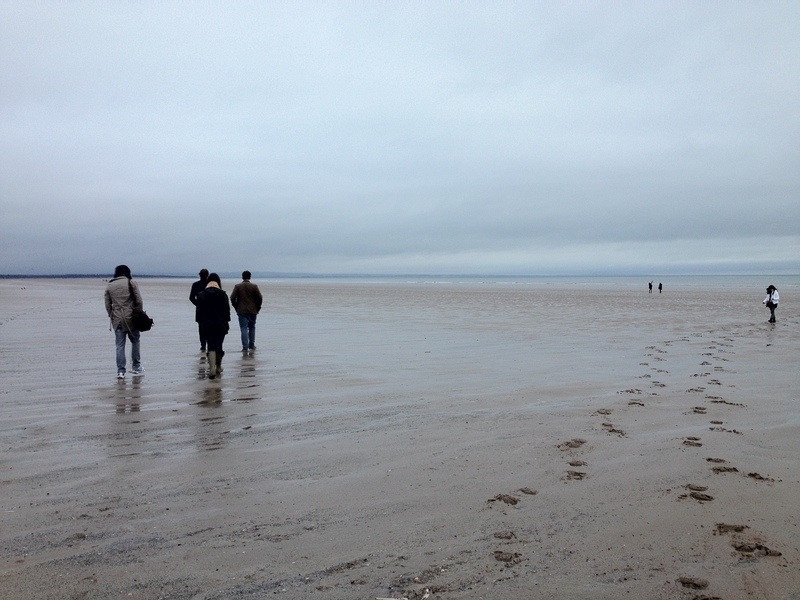 For now, however, my memory has been imprinted with the stunning neverending flatness of the vast West Sands beach by St Andrews, where we walked after the wedding, the new year stretching ahead of us. Looking back on the year, I see that I’ve developed a strange habit of reading in threes. There have been three Elizabeths, three lives, three children’s books, three of all sorts of things. Strange indeed. So here are my favourites of the books that I’ve read over the past year, clumped, conveniently, into threes. I began the year reading Elizabeth Bowen’s intensely atmospheric wartime novel The Heat of the Day which set me up for a year of Elizabeths. Start as you mean to go on, I suppose. Well I went on to read Bowen’s The House in Paris, an entrancing, bewitching novel, which made a whole afternoon disappear. Best of all, it was a year in which I was given a very special edition of Bowen’s Court – EM Forster’s copy no less. I loved Elizabeth Taylor’s Angel, a novel which every aspiring writer must read not just because it describes so brilliantly different moments of writing – the strange feverish stuffiness of writing non-stop, and the anti-climax of finishing, for instance – but because it will make you laugh hopelessly at yourself, at the sheer vanity of being a writer. We also had a splendid Walking Book Club discussing Taylor’s poignant novel about getting old, Mrs Palfrey at the Claremont, for which we enjoyed the illustrious company of Clare Balding. You’ll be able to listen to it on Radio 4’s Ramblings in February… watch this space! The third Elizabeth of the year was Elizabeth Jenkins. The Tortoise and the Hare had me in tears, and Harriet had me in a nightmare. Both are utterly compelling, hellish portrayals of marriage – the first is a heartbreaking portrayal of its death throes, and the second is about a situation so horrific, it’s hard to believe that it was based on a true murder case. My novel, as those of you who read last week’s post will know, is centred on a house and the stories that lie within it. As a result, I have grown quite addicted to books with houses at their centre. I’ve already mentioned Elizabeth Bowen – her Bowen’s Court really is a great portrait of a house. 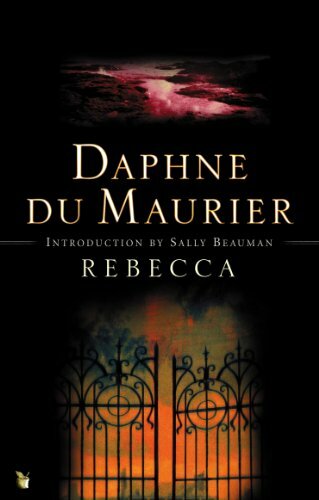 Rebecca is one of my all time favourite house novels. From that memorable first line, ‘Last night I dreamt I went to Manderley again,’ the house threatens to overwhelm the new Mrs de Winter. The most memorable moments of the novel are firmly rooted in the house – when she comes down the stairs for the ball, looking like the ghost of Rebecca, or when Mrs Danvers nearly makes her throw herself out of Rebecca’s old bedroom window. This was one of the books we discussed when I took the Walking Book Club to the splendid Port Eliot festival, not so far from Menabilly – the inspiration for du Maurier’s Manderley. I’ve read this novel so many times now, and each time find it utterly gripping, thoroughly brilliant. Perhaps I should allow myself one du Maurier a year. But my house of the year has to go to the ‘convenient little house’ in Hampstead, which is the focus of Vita Sackville West’s All Passion Spent. Lady Slane’s husband, a great statesman, has just died when we meet her. She defies her foul children, who want to parcel her off between them, and retires to a pretty Hampstead house that she last saw thirty years ago. This perfect, slim novel, a fictional counterpart to Woolf’s A Room of One’s Own, is beautifully written, and I especially enjoyed the way Sackville-West’s love of gardening – as attested to by the magnificent gardens at Sissinghurst – periodically surfaces, when she can’t resist arranging a few flowers here, or a ripened peach there. The best non-fiction I’ve read this year has been about the lives of people. The strongest presence has been the poet, Edward Thomas. I read Matthew Hollis’s biography of him, Now All Roads Lead To France – a fantastic book, which managed to turn his rather quiet life into a series of cliffhangers. 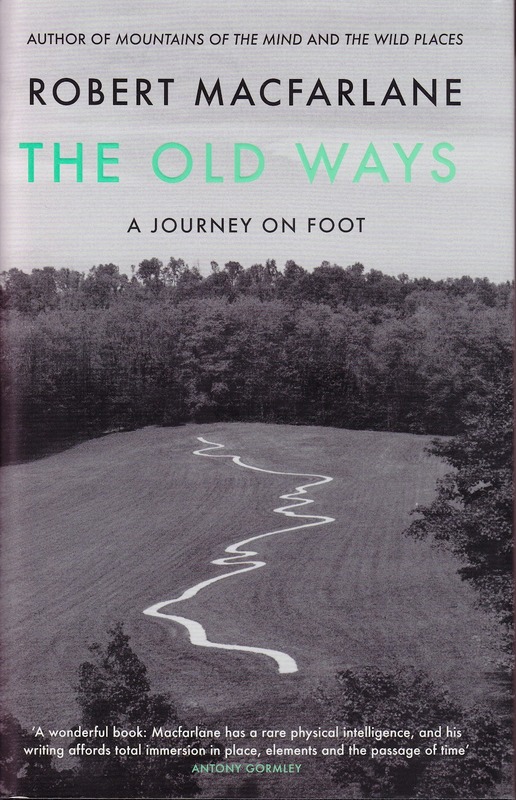 There was also Robert Macfarlane’s majestic The Old Ways, in which this literary lover of landscapes wrote about journeying on remarkable old paths, haunted by Edward Thomas who was a great walker as well as a great writer. And there was Nick Dear’s powerful play at the Almeida. My favourite Edward Thomas moment of the year was walking with some friends around (the aptly named) Steep, where Thomas lived, and up Shoulder of Mutton hill. It was very special to feel we were walking in his footsteps. Towards the end, we sprawled across a leafy glade and read out some of his poems, accompanied only by birdsong, the wind in the trees, and our steady chomping of Percy Pigs. I loved reading Penelope Fitzgerald’s letters – a wonderful thick collection, which was a steady and inspiring companion for many months. And now I am reading West with the Night by Beryl Markham, who became my new heroine by about page five. She tells of her childhood in what was then British East Africa, a childhood which included such instances as hunting warthogs with local tribesmen and being mauled by a lion. She grew up to breed and train racehorses, and then became a freelance pilot. This is an extraordinary memoir, bristling with the spirit of adventure, full of the romance of a lost way of life, and somehow Markham has combined a great lyricism with edge-of-your-seat thrilling tension. Deborah Levy’s Swimming Home seemed to lodge in me like a shard of glass, painful, unforgettable and darkly beautiful. Susie Boyt’s The Small Hours was a peculiar and powerful novel. It is about a strange, larger-than-life woman who decides to open a nursery school. It soon transpires that her own childhood has been difficult, to say the least. I suppose it’s what you might expect from Freud’s great-granddaughter. Emily Perkins’ The Forrests follows a family over several decades. What really stood out about it was the quality of the writing, richly detailed, making every mundane moment sing like a poem. Like everyone else I read The Hunger Games, and I loved it. It was alarmingly addictive – I have friends who began reading it one evening and had to take the next day off work, as they had to stay up all night to finish it. Cynics dismiss it as a horrid teen novel about children killing each other, but I found it thick with ideas – about CCTV, celebrity culture, society and more. And I reread A Wizard of Earthsea, an exciting quest about the battle of good versus evil, and – interestingly – the importance of language. There were of course other brilliant Emilybooks of the year, which don’t fit into these clumps of threes so neatly – Dorothy Whipple, Patti Smith, and it was certainly a year of Ali Smith, whose new book Artful – not quite a novel, not quite a collection of essays, is something entirely new and mind-poppingly impressive. It was a year of many great ladies, and, lest I forget, a few great men, (like the aforementioned Edward Thomas, Lewis Grassic Gibbon and L.P. Hartley). It has been a year of feeling terrifically happy that there are so many wonderful books to read. Thank you for accompanying me through a wonderful year of reading. Now I have only to wish you a happy and book-filled Christmas and New Year. Emilybooks will be back in January. Why is it that we’re all so keen on Edward Thomas all of a sudden? What is it about this poet of a hundred years ago that resonates with us so powerfully today? I happen to love Edward Thomas’s poetry. I read ‘Adlestrop’ at school, like everyone else, but thanks to Matthew Hollis’s new collection of his Selected Poems last year (see this post), then I read many more. And as my interest in Thomas’s poetry grew, so, it seems, did everyone else’s. Matthew Hollis wrote an award-winning biography of Thomas, which concentrated on his friendship with Robert Frost, Now All Roads Lead to France (see this post). This was swiftly followed by Robert Macfarlane’s wonderful The Old Ways (see this), in which the spirit of Edward Thomas lingers like a watchful ghost. And now we have Nick Dear’s new play at the Almeida. 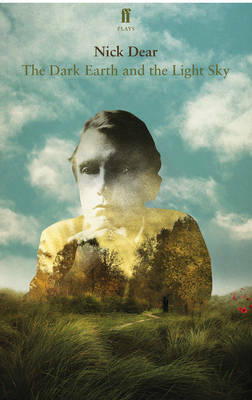 What is it that has made so many of us now, suddenly, at once, so fascinated by Edward Thomas? The first thing one might suspect is that they’re all in on it together. It’s quite nice to picture Matthew Hollis, Robert Macfarlane and Nick Dear going for long walks together up Shoulder of Mutton hill, puffing on clay pipes, listening out for larks, tramping in the poet’s footsteps and being mutually inspired to write their books. But the surprising thing is that each of them says they wrote their respective books about Edward Thomas independent of one another. Indeed Nick Dear talks a little about this on Front Row in an illuminating little interview – about 8 minutes in. Perhaps these writers were inspired by a conference about Edward Thomas that took place at St Edmund Hall, Oxford in 2005. 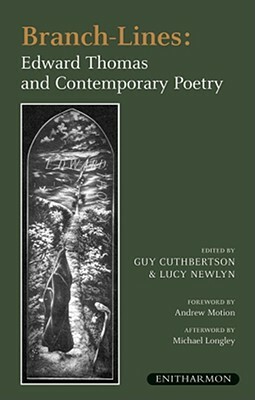 From this conference came yet another lovely book, Branch Lines, filled with the responses of contemporary poets to Thomas. But none of our writers Hollis, Macfarlane or Dear have contributed to the book. Perhaps this book is another coincidence, a few years ahead of the zeitgeist. I pondered this very question – why all this Edward Thomas now? – on Twitter (that home of articulate, complex pontifications) and reviewer Wayne Gooderham, who wrote this excellent blog, said that maybe it was because we are coming up to the 100 year anniversary of the start of the First World War. Good point – and actually I’m rather ashamed that it hadn’t crossed my mind – but then I haven’t noticed the same growth of interest in our other war poets. Where are all the new books on Sassoon, Owen and Brooke? In any case, was Edward Thomas really a war poet? Yes, he wrote at the time of the War, and the War is there in the shadows of his poetry, but really his poetry is about the land – England not Belgium. (I loved the way this came across in the set of The Dark Earth and the Light Sky, with its floor of dark earth, even if it did give rise to a surprised titter when Thomas’s wife Helen dug up some potatoes from it.) And beyond this, as Macfarlane points out, his true subjects are ‘disconnection, discrepancy and unsettledness’. I think there must be something else pulling us towards Edward Thomas. not simply the pathos of his frustration in prose, but the patient struggle of his efforts to purify his style and “wring all the necks of my rhetoric” describes a process that most poets they undertake (on a smaller scale) every time they pick up a pen to write. For those of us who aren’t poets, let’s not dismiss so quickly ‘the pathos of his frustration in prose’. All the books make it clear that Edward Thomas only became a poet at the very end of his short life; he didn’t even live to see one of his poems in print under his own name, rather than his pen name Edward Eastaway. As he says in The Dark Earth: ‘Did anyone ever begin at thirty-six in the shade?’ Until this turning point, this late out-pouring of poetry, sparked largely by his encouraging and inspiring friendship with Robert Frost, Thomas was really a hack, scraping together a living by reviewing, clutching at his advances for prose works which he belted out, thousands of words a week – as Muriel Spark put it several years later and about someone else, he was a ‘pisseur de copie’. I’m sick of everything. Sick of you, sick of the children, whom I know really despise me, although they couldn’t despise me as much as I despise myself for not putting an end to the wretched business! – Stop that! I don’t want you fussing around me. I know what I am, I know what I’ve done to you. Go away. Thomas is frustrated, dissatisfied, miserable. He suffers from depressive visions of ‘the other man’. But he finds relief – indeed, at times ecstatic happiness – from walking for miles through the countryside, especially in the company of Frost. And he will eventually succeed in his struggle to become a poet. It’s a potent story, an appealing myth. Of course many of us are unhappy with the daily grind of our lives, and feel a little like frustrated poets – or at least frustrated somethings – suffocated by the 9-5 slog of work. This has always been the case, but recently, with the recession, everything’s been shaken up. People have been made redundant; we are at a near-record high of part-time work, as opposed to full-time. For many people, the decision to leave their jobs, to quit the 9-5 and start again has been made for them. Admittedly, for most people this is awful and they want to find full-time employment again as soon as possible, but for some, perhaps Edward Thomas is a kind of lodestar. Now is the time to write that poem, or novel, or whatever it is that you’ve been meaning to do forever. Now is the time to start, even though you’re thirty-six in the shade. Perhaps we are becoming a nation of poets rather than shopkeepers. In any case, The Dark Earth left me fervently hoping that if we do become a nation of poets, we aren’t all as perfectly horrid as Edward Thomas! While Matthew Hollis and Robert Macfarlane both make it clear that he was a difficult, unhappy man, and Hollis gives over quite a bit of space to his tricky marriage, perhaps the authors are too much under the spell of Thomas’s wonderful poetry to condemn his behaviour towards his wife. 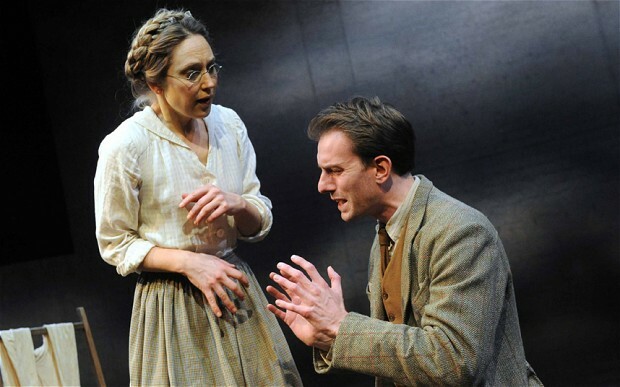 Seeing it acted out before you, it is impossible to watch Edward’s exchanges with Helen without flinching at his cruelty, wincing at the disparity between his carelessness and her exhausted tending to him. The virtue of The Dark Earth’s use of multiple perspectives, rather than just one narrator, is that Helen’s voice comes through loud and clear. She loves Edward Thomas in an all-encompassing self-sacrificing passion, and I couldn’t help but think what might have become of her if she hadn’t sacrificed herself so entirely. What happened to the bright young Helen that she remembered, who read the literature brought to her by her lover? Now, as she says when she opens the play, she hasn’t the time to read – she’s too busy looking after Edward and the children. My understanding is that Helen Thomas has been rather dismissed by the literary establishment. Her books about her relationship with Edward Thomas are out of print, indeed at one point they were banned in Boston. There is a brilliant scene in The Dark Earth which shows Frost returning to England many years later and being very rude to Helen. He says that he has removed his dedication to her in his book of poetry because she ‘insulted …[the] manhood’ of Thomas in her book. Whereas in the past, opinion would have sided with Frost, such is the power of the play, that we side with Helen. If our collective obsession with Edward Thomas is set to continue, perhaps a publisher will see fit to bring Helen Thomas’s two much maligned books about her husband back into print. Unlike Robert Frost, I for one would be fascinated to read them. 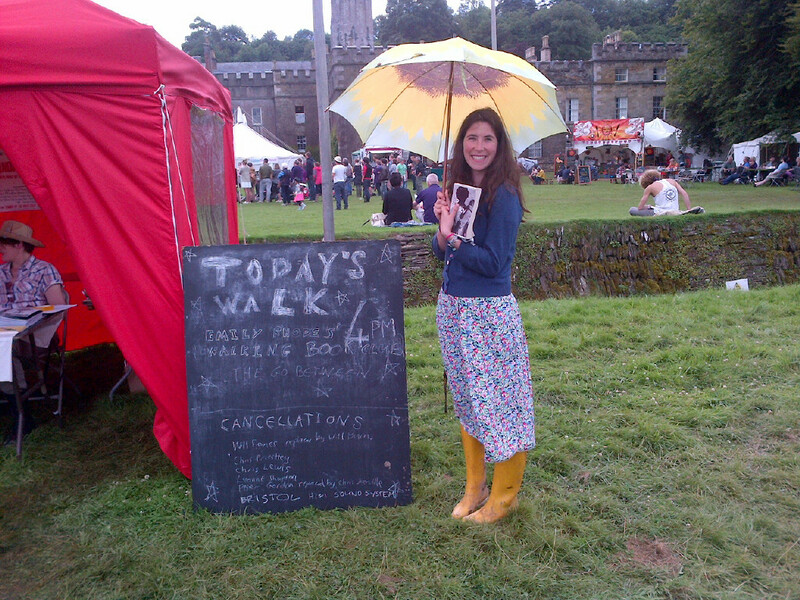 I have just returned from a glorious few days at Port Eliot festival in Cornwall. What a fun time we had! Beautiful landscape, inspiring talks, dancing-a-plenty – made all the better by being, for the most part, blessed with sunshine. 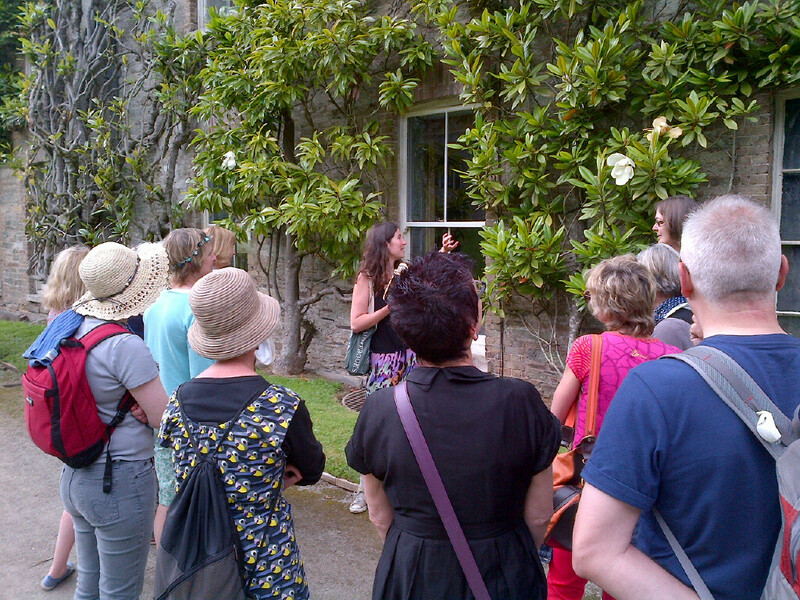 I was at Port Eliot to do my walking book club – which involves going for a walk and talking about a book. 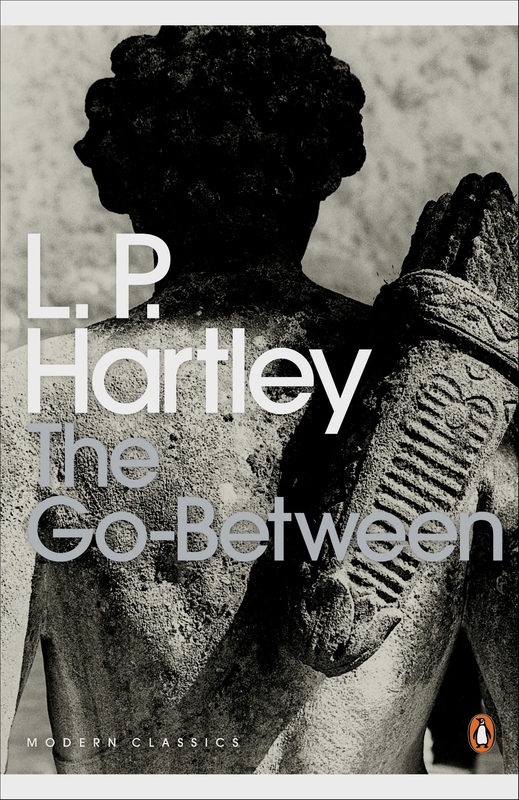 In this instance, I did one walk for The Go-Between by L.P. Hartley and another for Rebecca by Daphne du Maurier, both books that fitted in nicely with Port Eliot’s big house and beautiful grounds. Quite thrillingly Radio 4 were interested in the idea and broadcast a report on it on The World Tonight. Here it is – the piece about the walking book club is 37 minutes in. 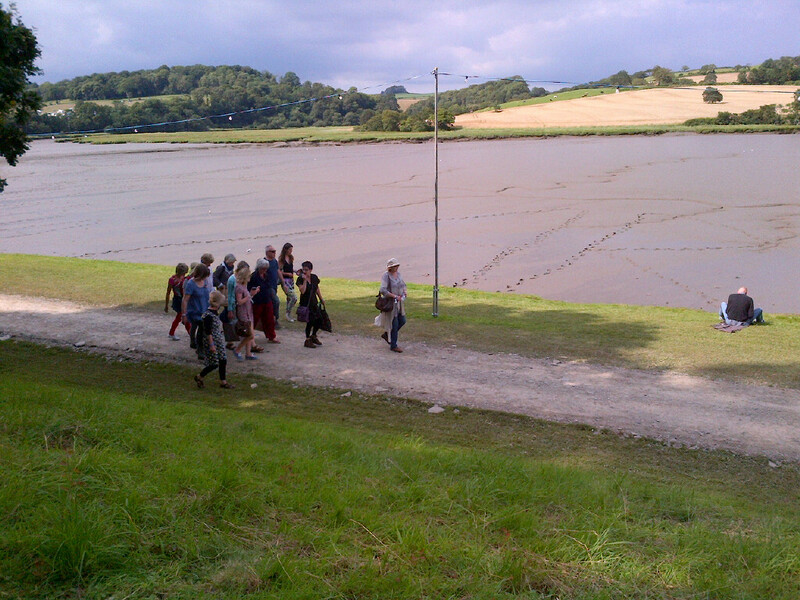 It was probably because I was there to walk, but I found that walking greatly influenced my experience of the festival. 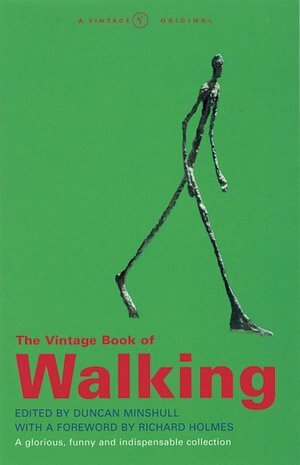 As well as gleaning walkerish thoughts from Robert Macfarlane (barefoot on red sandstone is a winner) and Juliet Nicolson (her grandfather Harold Nicolson went on a rather more highbrow walking book club in France), I went on a literary walk with Duncan Minshull, who has edited a treasure trove of a book about walking. A group of us walked down a pretty path to a field golden with wheat, stopping every now and then for Duncan to read us a thought on walking from someone literary. Do not on any account cease to take pleasure in walking: I walk every day to preserve my well-being and walk away from every sickness; I have walked my best thoughts into existence, and I know of no thought so heavy that one cannot walk away from it. Apparently she was something of a couch potato and he was trying to coax her into taking a little more exercise. I felt compelled to say: “Triminham’s coming after us,” as if he were a disease, or a misfortune, or the police. “Oh is he?” she said, and turned her head, but she didn’t call to him, or make a sign, and his pace slackened off, and when he did come abreast of us he passed us, to my great relief, with a smile, and joined the people who were walking in front. Could Marian be any more tepid in her feelings towards Trimingham? Especially when compared to the passionate ‘Darling, darling, darling’ written to lowly farmer Ted. Trimingham comes across as every bit the noble gentleman, his pride may be wounded and yet he masks it with a smile. The marriage planned between Marian and Trimingham – her money for his title – is certainly one of convenience, not motivated by love or affection. All this conveyed in a walk. Of course in Rebecca it is while walking with Maxim in the grounds of Manderley that the new Mrs de Winter first comes across Rebecca’s fateful boathouse. Maxim is furious with her for following the dog over there, and strides crossly up the hill, back to the house for tea, revealing that the boathouse is every bit as sinister as she fears. 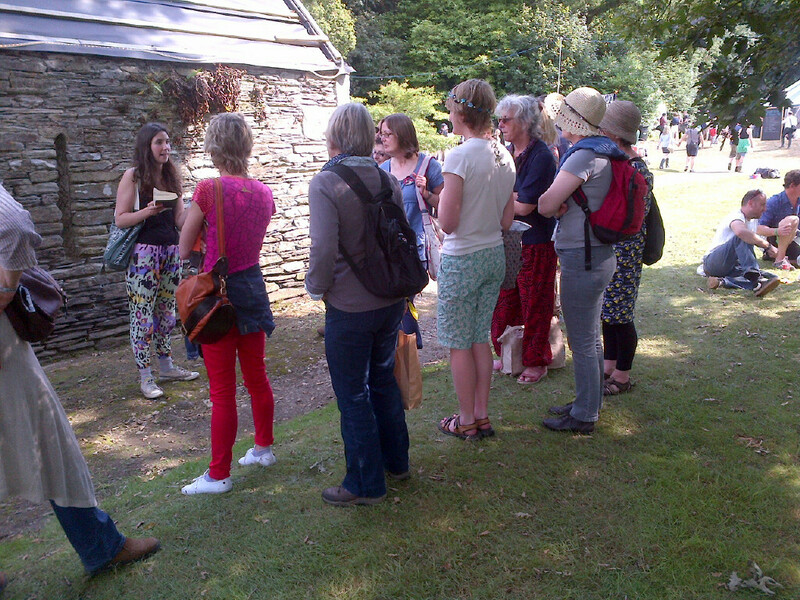 Rather luckily there is a boathouse at Port Eliot, so for the Walking Book Club we wandered down there, paused in our discussion and regrouped. I thought it a good spot to read out Daphne du Maurier’s description of Rebecca’s boathouse, when the new Mrs de Winter first sees it on her walk. We all collectively shivered in spite of the warm sunshine at the description of the ‘damp and chill’, ‘dark and oppressive’ boathouse, with its rat-nibbled sofas, cobwebs and ‘queer musty smell’. We moved on, wandering along the estuary, wondering aloud whether or not Rebecca really is the villain that Maxim de Winter says she is. Many of us found a new respect for Rebecca. Plenty of us found ourselves irritated beyond belief with the new Mrs de Winter. Someone said she was desperate to shake some sense into her. Maxim de Winter was accused of being vile and dreadful, although not without his attractions. But my greatest surprise was hearing someone say that she quite liked Mrs Danvers. Oh, Mrs Danvers, ghoul of my nightmares! Feeling that I needed du Maurier’s own words to back up my case, I waited until we were gathered by the house before reading out a scene thick with horror, to my mind one of the most ghastly scenes in all of literature. I came forward to the head of the stairs and stood there, smiling, my hat in my hand, like the girl in the picture. I waited for the clapping and laughter that would follow as I walked slowly down the stairs. Nobody clapped, nobody moved. They all stared at me like dumb things. Beatrice uttered a little cry and put her hand to her mouth. I went on smiling, I put one hand on the banister. “How do you do, Mr de Winter,” I said. Maxim had not moved. He stared up at me, his glass in his hand. There was no colour in his face. It was ashen white. I saw Frank go to him as though he would speak, but Maxim shook him off. I hesitated, one foot already on the stairs. Something was wrong, they had not understood. Why was Maxim looking like that? Why did they all stand like dummies, like people in a trance? Then I saw that the door leading to the west wing was open wide, and that someone was standing there. It was Mrs Danvers. I shall never forget the expression on her face, loathsome, triumphant. The face of an exulting devil. She stood there smiling at me. And then I ran from her, down the long narrow passage to my own room, tripping, stumbling over the flounces of my dress. What a haunting piece of writing, and how wonderful to be haunted by it standing there, by the wall of a house that might as well have been Manderley itself. In the British Library’s Writing Britain exhibition, amongst the gems of first editions, scrawled upon typescripts, and radio interviews (including Daphne du Maurier reading her diary entry for the occasion when she first saw the real Jamaica Inn! ), there were some video clips of various wild writers in various wild places talking about British landscape and literature. Robert Macfarlane was among these celebrated writers, which was a happy coincidence, as I have been reading his new book The Old Ways. It’s a beautiful big hardback, too precious a thing to be carted around in my bike bag with my oily lock and leaking packed lunch. So, quite unlike All Passion Spent, which I read all at once, I read The Old Ways discretely, chapter by chapter, half-centimetre by half-centimetre, over a few weeks. The book is split into sixteen chapters and each explores a different path, so it’s rather a good one to read like this. Rather than the sudden rushing gush that comes with reading a book all at once, this gradual process meant that it seeped into my consciousness, drip by drip, permeating down slowly but surely, etching its mark gently but repeatedly. It’s meant that I’ve had some very nice, lyrical, Macfarlaneish thoughts buzzing around the back of my mind over the past weeks. I have long been fascinated by how people understand themselves using landscape, by the topographies of self we carry within us and by the maps we make with which to navigate these interior terrains. We think in metaphors drawn from place and sometimes those metaphors do not only adorn our thought, but actively produce it. I like the idea that as we tread on a path, we are also stepping along ‘lines of thought’, or following ‘streams of consciousness’; wandering is a way to ease wondering, and walking a way to ease talking. a kind of pursuit, a tracking of the physical trail of someone’s path through the past. And so Macfarlane sets out to walk where Edward Thomas (see here and here for more thoughts about him) walked, following the Icknield Way amongst others, conjuring his ghostly presence from the chalky landscape. I love the way the slippage between stories and striations brings to mind layers of stories, laid out like successive stripes across a rock. Of course it made me think of the novel I’m writing about a derelict house, where each trace reveals a story from a different time. And it also made me think of experiences I’ve had of feeling connected to a piece of literature by virtue of being in the place where it was written. Listening to Moonfleet while driving down to Dorset, for instance, or reading Gavin Maxwell’s Ring of Bright Water while in Harris. But it was when I was looking at Chart for the Coming Times, an exhibition now on at Rowing Projects, a friend’s new gallery on Holloway Road, that the phrase ‘densely storiated landscape’ seemed most apt. Chart for the Coming Times is a collaborative work between Portuguese artists Mariana Caló and Francisco Queimadela as part of their ongoing project, Gradations of Time over a Plane. 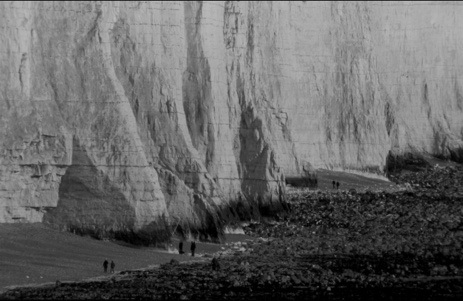 This installation’s centrepiece is a video, luminously, Bergmanesquely filmed around the chalk cliffs of Seven Sisters, East Sussex. The cliffs are an astonishing sight. From afar you can see the deep black striations ruled across the white chalk. They look like lines on paper, ready, perhaps, for stories to be written upon. And the very pleasing thing is that that is exactly what has happened. We get a close-up and see that the cliffs are covered with names, which people have carved into the chalk. Stories have been engraved on the striations. These cliffs are continually being eroded, and so these graffitied names, these words on the striated paper, are ever disappearing. Except for one little patch, which the artists have taken a cast of, and preserved indefinitely in a time capsule, which they ritually buried nearby. I cycled home still thinking about this storiated cliff, being eroded with people’s names and with the force of the sea. It was only when I was half-way home, somewhere along Holloway Road, that I remembered that I was cycling along what was probably once a holloway, an example of one of the ‘old ways’ about which I’d been reading. I thought of all the cattle that once were driven along this path, trampling it deeper into the ground as they passed, now replaced with the rumble of busses and cars, bolstered up by tarmac. Now it’s part of the A1, a big, grizzly main road, but it is still a path of sorts, and its origin survives, captured in its name. And I thought that just the name – Holloway Road – is a story in itself, conjuring the layers of time that passed during its transition from holloway to road. The lights changed and off I cycled, feeling a little dizzy at the thought of Holloway Road being the very essence of London’s storiated landscape.